Home » Blog » gears » Gear Reviews » Crash Pad Reviews​ – Which One Is Good For Me? In my previous crash pad article, I shared about the different style of crash pads with the descriptions along with the pros and cons of each style. In this review, I would like to compliment that article with the different folding style crash pad reviews to help you decide what works best for you. The Metolius Session Crash pad comes in one size with orange and black. This is an excellent starter pad. I bought this for my son’s birthday and he loves it. It is great for spotting him when he fell off while bouldering. It is light and easy to carry on his back as a back pack. The only complaint he has is that the shoulder strap is a little low so the pad is high on his back. It sticks above his head. We also use it as pad for the floor of our minivan when we go on road trip. It works well as his sleeping pad. This particular crash pad fold up is called the burrito. Mad Rock utilizes a fill system that enables the pad to lay flat on top of obstacles or features. It dampens the impact of the fall. With the baffles contains recycled EVA foam, it molds itself very well to rocky and uneven ground. This is also great as a top layer on top of other crash pads. 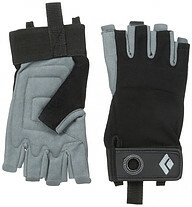 The rugged nylon shell is durable and tough against abrasion. It also has a back strap and chest strap to help with the carrying on your back. Many complaints that it is heavy especially for a long hike to destination. It is fine for short distance hike. Has a closure flap to stow away your gear. The fold up style for this crash pad is a taco for a continuous landing surface. It has improved closed-cell PE foam layup on top and high-compression PU foam on bottom to support the impact of your fall. This mid-sized ultra blue crash pad features an elastic flap for storing your shoes and climbing accessories. The rubber coated bottom fabric is for better grip on slippery surfaces. One major complaint was the pack up. Folding and packing up was cumbersome. Elastic mesh flap closure with buckles for storing gear inside the pad. This crash pad is a triple hinged style pad. It is the biggest on the market at this current time. It definitely covers the ground more than the other crash pads. It is 5 inch thick foam cushion to dampen your fall. The only complaint is that it is big and cumbersome to carry. However, it is not as heavy as the other crash pads. If you like to boulder and would like to practice on real rocks outdoor, I would totally recommend investing in a crash pad or two. You can also partner up with another climber to share the cost. The outdoor terrain is much more rugged than the indoor gym. The ground is hard and unforgiving. It is worthwhile to feel safe and enjoy your outdoor climbing experience. From my experience, certain campgrounds will rent out hinge fold up style crash pads if you don’t have one yet. When available take advantage of the rentals and find out what works best for you. Love to hear your thoughts about your favorite crash pad. Please leave comments or questions below. 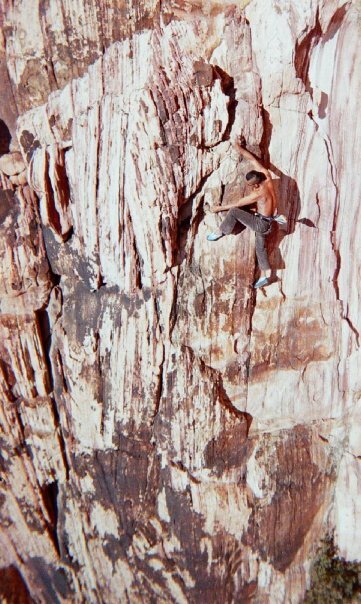 Next post What is Free Solo Rock Climbing – Would You Do It?